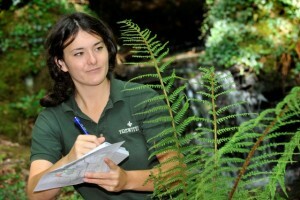 Our volunteer scheme has come into its own in recent years. 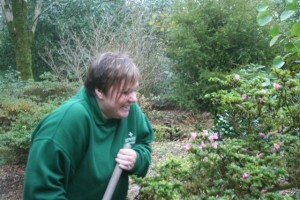 We have had a string of successful volunteers going on to either full time employment, setting up their own business or going on to study horticulture up to degree level. Volunteers have come from all walks of life. we have had an ex Cornish tin miner to retired carpenters to retired landlords to Duke of Edinburgh participants. All have added something to the garden and garden team. 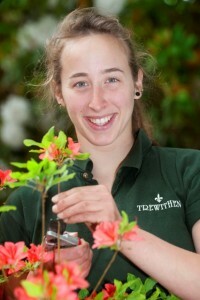 Inez started while doing her duke of Edinburgh gold medal and went on to achieve a degree garden design, restoration and management at Writtle college. And now Alison, Vanda and Carol all are studying for the RHS level 2 in horticulture qualification. One thing they all have in common are that they are all women. On #internationalwomensday (sorry for computer speak but hash tags are the modern world!) I would like to highlight and thank our volunteers for all their efforts and make it clear we have had male success as well. Several, of the boys, have left us for full time employment the most recent being Adam who is know Head gardener at Knebworth house, a huge achievement and it all started here.